CU-ICAR’s worldwide reputation is a result of successful partnerships with leaders in the industry. By leveraging Clemson University’s extensive network, we are able to build bridges and open doors to new opportunities. Our students, research, economy and campus all reap the benefits of strategic partnerships. The CU-ICAR campus is an automotive ecosystem that helps companies make connections and build relationships. 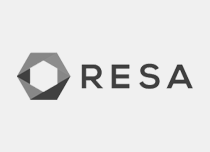 We have created a community where industry literally meets academia. With the addition of the Center for Emerging Technologies in 2012, CU-ICAR currently has 20 Campus Partners from around the world. These on-site residents work in close quarters with our students and faculty and share the many amenities of the Millennium Campus. 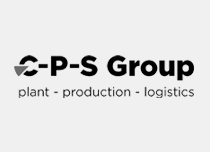 The C-P-S Group focuses on consulting and planning projects in the fields of production and logistics in the automotive industry. We undertake short-term projects to analyze and design production processes – everything from individual aspects to the entire value chain – according to the precept that “structure follows process”. The aim is always to achieve process-focused, lean production setups with no supply bottlenecks, and ergonomic work systems appropriate to the workers’ needs. We offer a comprehensive portfolio of services in the area of logistics as well as also support in production process planning throughout the product development process. We have been offering our expertise in production and logistics planning for more than 30 years and are located in 9 locations in North America, Europe and Asia. Founded in 1999, the Counsel Group Frankfurt (CGF) is an international provider of on-site IT counseling services and support with extensive experience in automotive manufacturing and office environments. CGF core competencies include: Product Lifecycle Management, Industrial Internet of Things (IIoT), IT Services and Support, Device as a Service (DaaS) and Enterprise Security Management. CGF is partnering with Behr Technologies (BTI) the developers of MIOTY, a best-in-class Industrial Internet of Things communications technology, to offer an end-to-end turnkey IIoT solution that enables manufacturers to wirelessly connect and monitor environments, and to analyze the data in real time to improve operational efficiencies and provide for safer work environments. CGF applies a Counseling Approach in order to provide onsite IT support and service-based solutions to best serve your IT business environment. Our team in the US is strategically located in CU-ICAR, the international center of automotive research, in order to provide an expert level of IT operational support to automotive manufacturing plants and industries in the Upstate. 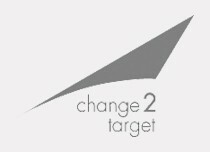 change2target, the leading management consulting firm for Customer focused Value Management, has its headquarters in Cologne and maintains offices throughout Europe, America and Asia. change2target consultants, drawn from a pool of 180 experts, are active in 25 countries for renowned companies. Our service offering covers everything from lean and supply chain management to market intelligence. We combine this range of expertise with Hybrid Consulting – a blend of management consulting and interim management. 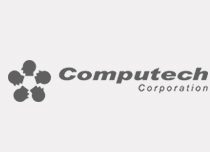 The sole mission of Computech is to provide pragmatic and cost-effective IT & IT enabled services and solutions that deliver pre-determined and tangible results to our global customers. Computech Corporation provides IT and consulting services to various customers across the globe. Being a Minority Certified Company and with over 10 years of industry experience, global delivery model and proven track record enable companies realize improved business efficiency and increased profitability.Computech is dedicated to achieving customer’s organizational goals through the most effective use of Information Technology. Working as a business partner with you, Computech will plan, prepare and execute programs with knowledge, experience and follow-through while providing solutions in a timely manner. Their solutions are the outcome of the synergistic contribution of our most-valued resource – Their People. 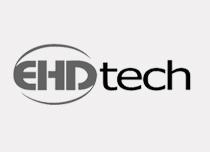 EHD Technologies is a leading provider of talent acquisition, contract engineering, quality assurance, and managed services. 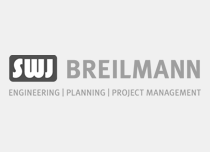 SWJ-Breilmann offers Flexible Engineering, Planning and Project Management to support and optimize facilities, processes, products and services. Virtual planning and structural concepts; simulation, integration and optimization; specifications and quality engineering; validation and control plans; production readiness support, audit management and tool controlling. Tool, jig, equipment, robotics and conveyor design as well as planning for manual work steps and build times. We focus on KAIZEN and lean integration. Plan for each part (PFEP), staging and rack planning, supply layouts, container and packaging design, carrier concepts and route planning, KANBAN systems and supply chain management as well as logistics network simulation and optimization. Best in class services tailored to customer requirements delivered as turn-key-projects, EOD, deliverables, on-site of off-site. As part of a global organization, we can utilize international resources with diverse technical capabilities to maximize customer success. Founded in 2009 by two veterans of the metalworking industry, Focus Chemical, Inc. is a wholly-owned subsidiary of Palmer Holland, Inc., a distributor of specialty chemicals for the CASE and lubricant markets. Metalworking additives are the core foundation of Focus Chemical’s business. Located in the new CU-ICAR Center for Emerging Technologies – a vibrant satellite campus of Clemson University located in Greenville, South Carolina – Focus is positioned to stay on the cutting edge of emerging technologies catering to the manufacturers of metalworking fluids. 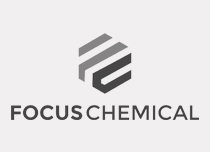 Focus Chemical is large enough to enjoy relationships with prominent raw material suppliers around the world, yet flexible enough to address specific metalworking needs customer by customer. Formel D is a global service provider to the automotive and component supply industry. We develop leading concepts and individual, scalable solutions for quality assurance and process optimization along the entire automotive value chain – from development to production to aftersales. Formel D has over 9,000 employees from 45 countries operating in intercultural teams at more than 80 branch offices across 19 countries. 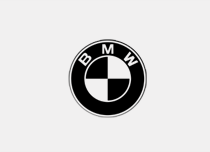 Formel D also offers services for the overall vehicle across the entire automotive value chain. Our service portfolio includes the construction and reconstruction of prototypes, test vehicles and special-purpose vehicles during the development phase, rework during ramp-up and within series production, conversions and retrofits to finished vehicles, as well as the upgrading of used vehicles and pre-delivery inspections. We offer our customers a comprehensive service network all over the world. Solution-oriented consultancy services, professional project management, and dedicated training courses guarantee continuous improvement to processes and quality standards. 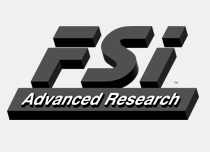 FSI Advanced Research Inc. is the research arm of FSI Technologies Inc. The FSI Advanced Research team focuses on the next generation of machine vision technologies including 3D and multispectral imaging, and machine vision software utilizing deep learning algorithms. With the knowledge and expertise to customize a solution using these tools, FSI Advanced Research can solve machine vision applications that were considered too difficult or impossible with traditional methods. These technologies will be especially useful in automotive and advanced materials applications. FSI Technologies Inc. is headquartered in Lombard (Chicago) Illinois, and has been an engineering oriented manufacturer of automation products and industrial electronics since 1959. FSI manufactures a full line of rotary optical encoders and photo-electric sensors for use in industrial applications. FSI Machine Vision provides complete machine vision automatic inspection systems, consulting, training, and components. ICAP is a leading staffing and technology services company. Our team is dedicated to delivering innovation and results for your mission. Our seasoned staff collaborates alongside our clients to design, build, integrate, project manage, and support mission-critical initiatives. 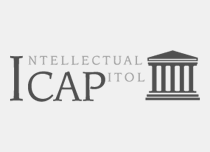 By providing a full range of critical information technology staffing services and solutions, ICAP is a key technology partner for organizations throughout the southeastern United States. ICAP is a certified, woman-owned small business with 32 employees. We have locations in Greenville, Columbia, and Myrtle Beach, SC and in Raleigh, NC. The 118,000 square foot Collaboration 3 building hosts Koyo Bearings USA, a division of the JTEKT group. 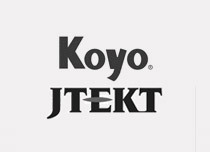 Koyo Bearings USA was formed when JTEKT purchased the needle roller bearing portion of the Torrington Company from Timken in 2009. Globally, JTEKT is a leading manufacturer of steering systems, driveline components, bearings, and machine tools, with operations in 70 locations and sales of $11 Billion. The Koyo Bearings division provides industry-leading technology in roller bearings and related assemblies for automotive and other industrial sectors. The Greenville Technical Center at CU-ICAR is Koyo Bearings’ primary location for needle bearing design and technology development including prototyping, product testing, and manufacturing process development. MTC Federal Credit Union has served as a trusted financial resource for the since 1976. As a not-for-profit financial institution, MTC Federal members typically earn higher dividends on deposits, borrow at lower rates and pay fewer fees. From Branch Services to our 24/7 Web-Branch every service we provide and every experience we deliver is in your best interest. Sage Automotive Interiors develops and manufactures innovative automotive body cloth and headliners preferred by automotive manufacturers around the world. The company will locate its international headquarters in the newly constructed Center for Emerging Technologies in Technology Neighborhood I. Global offices and manufacturing locations for Sage include facilities in the United States, Japan, China, Brazil, Korea and Europe. 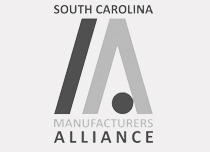 The South Carolina Manufacturers Alliance is the only statewide organization dedicated exclusively to the interests of manufacturers. Its mission is to elevate the quality of life for all South Carolinians by advancing the state’s manufacturing industry. The SCMA membership is comprised of more than 200 manufacturing companies that represent more than 80,000 associates in South Carolina. For additional information about the SCMA, please visit www.myscma.com. 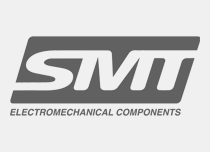 SMT LLC is a manufacturer that specializes in electromechanical subassemblies and components. From concept to finished product, SMT can help realize your goals for cost effective technical solutions delivered on time and defect free. With emphasis on vertical integration, SMT can utilize a diverse range of in house manufacturing equipment for a complete turn key product solution. Chartered in 1983 by the State of South Carolina, SCRA fosters South Carolina’s Innovation Economy by supporting entrepreneurs, enabling academic research and its commercialization, and connecting industry to innovators. 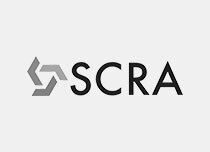 SCRA is a public, non-profit corporation. Toho Tenax is the core company of the Teijin Group’s carbon fibers business. The Toho Tenax Group is a leading carbon fiber manufacturer worldwide with an annual production capacity of 13,900 tons in Japan, Germany and the USA. 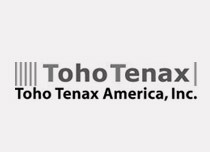 Toho Tenax America, Inc. is an affiliate located in Rockwood, TN, USA and responsible for the Americas’ market.